The machines and systems in industrial processes have to be adapted to the different requirements. URACA supports customer-specific projects with state-of-the-art automation and drive system solutions. These cover the requirements of numerous applications. URACA designs reliable automation, drive and safety technology solutions together with well-known manufacturers on the basis of the product range of pump systems and high-pressure solutions. Customers receive tailor-made, economical and user-friendly complete solutions. Asynchronous AC motors are particularly robust and the ideal solution for applications under adverse ambient conditions. They operate safely and reliably even in aggressive or explosive atmospheres and extremely cold or hot environments. There is a wide range of options with international and industry-specific features and certifications. They also meet country-specific energy efficiency requirements such as IEC standard 60034-30-1 (efficiency class standard for mains motors) or the CEL (China Energy Efficiency Label). Different motor variants and drive types such as star-delta starters, soft starters or frequency-controlled drives ensure flexible application possibilities in a wide variety of networks, applications and industries. The drive units are available in LV and MV technology (low and medium voltage technology), in IEC and UL/CSA as well as compact, control cabinet or container solutions with a high degree of protection, water or air-cooled, and cover the power range from 3 kW to 1.5 MW. Frequency-controlled drives make a decisive contribution to increasing productivity and improving the energy balance. 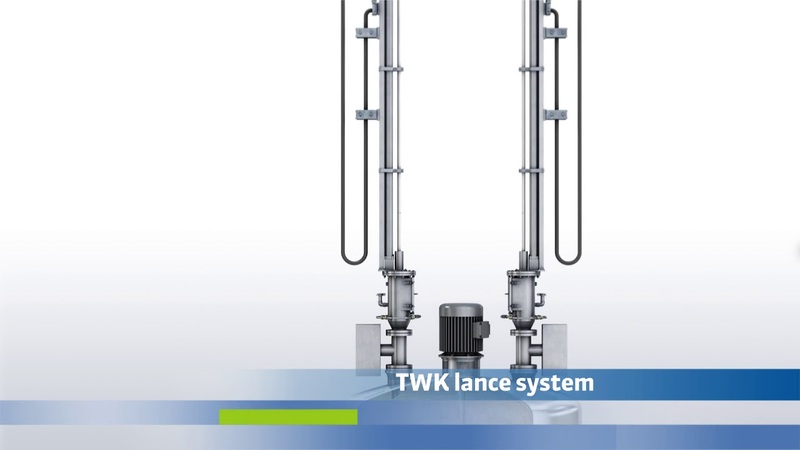 Several pump drives can be synchronized with a master-slave function, for example. The coordinated interaction of mechanics, hydraulics, automation and drive technology results in process-optimized and energy-efficient overall solutions. The EMC and harmonic requirements can be met by special technical designs or the use of various filters. MV frequency-controlled drives deliver maximum efficiency, power quality and safety. They are characterized by low operating and maintenance costs and are exceptionally reliable. Thanks to compliance with the strict requirements of IEEE 519 1992 regarding current distortion, they can be used in all networks from 3.3 to 13.8kV without expensive and power-loss filters or other measures for harmonic damping and are available in air or water cooling. URACA offers its customers a wide range of automation technology. It ensures the control and safety of the high-pressure systems and their integration into the various process sequences. URACA relies on proven control and safety technology from the Siemens, Pilz and IFM product families, among others. The intelligent visualization software is optimally tailored to the requirements of convenient, intuitive, multilingual operation, control and monitoring of the system. The individual components can be perfectly integrated into individual automation systems through the consistent use of open, standardized interfaces in hardware and software. The connection to customer controllers can be implemented with all common bus systems, or in the classic way via hardware coupling. URACA has many years of experience and global know-how in the field of automation and drive technology for process pump systems and high-pressure applications. URACA covers the complete range of services from design consulting and customer-specific project planning to production and commissioning. If you need individual drive and automation technology, contact the experts at URACA now.